The Movement of Rastafari has a profound influence on the development of Reggae Music. A lot of Reggae Artists are a member or at least have a lot of sympathy for the Movement and the Ethiopian Emperor Haile Selassie, who was called Ras Tafari before his coronation. This section is a tribute to this Movement, a Movement that endures Tribulation from Babylon System from the very first day of it's existence. 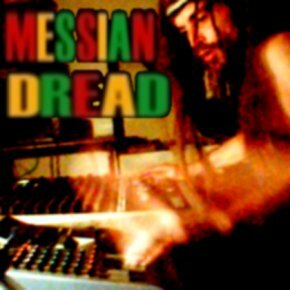 This is not a "Rastafarian Website" persay, even though Rasta's contribute. What you can find is information and documentation about the Ethiopian Emperor Haile Selassie as well as about/from the Movement of Rastafari. The information presented on this section comes straight from members of the Movement of Rastafari or is documented material about the Movement or the Ethiopian Emperor. The mainstream media portrays the Movement of Rastafari as a Jamaican form of Hippieness. And when they don't, they describe it as a criminal organization. Christians think that the movement is some kind of dangerous cult, as Christian researchers swallow the propaganda like parrots. The number of self-proclaimed "Christian Websites" on Rastafari only display a tip of the iceberg when it comes to Christians believing lies about Rastafari. This section is open for everyone who seeks for information about the Movement of Rastafari as well as the Ethiopian Emperor from the perspective of a truthseeker. This section is closed for everyone who seeks evidence to describe the Movement of Rastafari as an antichrist, racist and criminal movement.